Losing body fat can be quite a tedious feat to achieve. Sometimes we try a lot of exercises to help us lose weight but we are not quite where we want to be. But have you ever considered that you are not obtaining results because of the food you are taking into your body? Here, we will go over some foods that can help your body burn fat as you work for that amazing body you seriously deserve! Yes, you heard correctly, sweet potatoes. It is actually regarded as a super food and it’s because it supplies your body with a ton of nutrients. Sweet potatoes do not only have low glycemic index (they help you feel full longer because they are absorbed slowly), but they are also high in fiber and they are rich in carotenoids and antioxidants which help stabilize the blood sugar levels. Nutrients from this food also help lower the body’s insulin resistance hence preventing calories from being turned into fat. Whether raspberries, blueberries or strawberries, they’re a fantastic and nourishing way to satisfy your cravings. Berries contain polyphenols which helps the body burn fat, and in fact, stops the formation of fat. Healthy substitutes like quinoa, brown rice, or oats contains fiber which helps your body fight against the accumulation of fat. It has been said that a compound in pepper has the capacity to help your body burn belly fat while suppressing your appetite and boosting your body’s ability to convert food into energy. So definitely add some to your meals the next time you cook! This could be a healthy substitution for coffee. 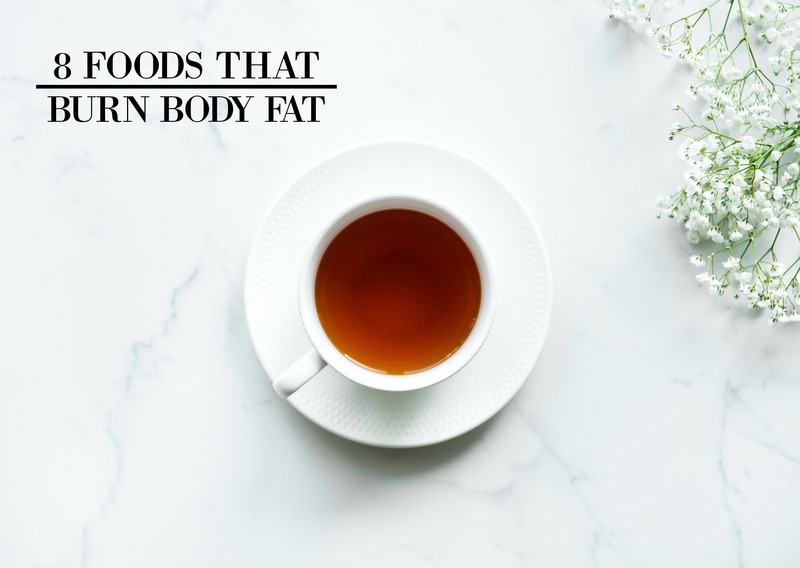 Green tea contains Catechins – which are otherwise known as antioxidants that help boost the body’s metabolism while speeding up the release of fat from cells. Peas can double as an interesting and healthy addition to your food. A cup of peas is said to contain 8 grams of protein and a truckload of fat-reducing nutrients. It has almost everything you need in a daily dose of Vitamin C, magnesium, iron and potassium. When it comes to incorporating fish into your diet, you can be assured that you are getting filled with the right amount of nutrients your body needs. Tuna, sardines, and salmon are all great options for incorporating into your weekly diet. They contain important omega-3s and lean protein that helps curb cravings while filling you up. Whether almonds, pistachios, or peanuts, they are a fantastic way to fulfill a craving while remaining healthy. Just make sure not to go overboard as they do have a lot of calories (check the serving size before eating). Now if you have any questions about these fat burning foods you can add into your diet, just let me know in the comments down below! I’d be glad to help you out!